The whole concept of online commerce hinges on convenience, particularly during the frantic holiday shopping season. Unfortunately, some well-known Web merchants left consumers seriously dissatisfied in the past year. One of the most notable is Netflix (NFLX): Its cherry-colored logo has left many customers seeing red. Foresee -- an organization that tracks customer experience and satisfaction online -- recently released its 2011 Annual E-Retail Satisfaction Index. Netflix, a former "satisfaction superstar" that for seven years rivaled Amazon.com (AMZN) at the top of the heap, is now ranked as average in the satisfaction department. Netflix's serious missteps this past year have resulted in an 8% plunge in customer satisfaction. Even worse, Netflix's scores fell in every category metric that Foresee measures, such as site content, functionality, merchandise and prices. Netflix's shocking fall from grace is old news, but Foresee's data could help forewarn you about other online merchants that might leave you cold in seasons to come. 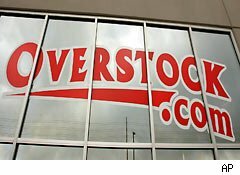 Overstock.com (OSTK) ranked at the very bottom of the list and also achieved a shocking free-fall over the year, with its score dropping by 5%. Gap (GPS) lives first and foremost in the bricks-and-mortar world, where it's shrinking its physical store count. But it's not particularly charming shoppers in the virtual realm, either. It's ranked only higher than Overstock.com, and its score has dropped 6%. Mystery shopper company STELLAService revealed another source of potential dissatisfaction for online shoppers: how long it takes to receive refunds on returns. Dell (DELL), Zappos, and QVC resided at the bottom of a list for the swiftness of refunds in the weeks leading up to the holidays, with 13- to 14.3-day turnaround times. That's a long time to wait for your money back. Cheer up, though -- some merchants continue to provide an excellent customer experience on the Web. Foresee points to Amazon.com as a standard for excellence, ranked No. 1 on the list. Amazon achieved a two-point increase in satisfaction on a year-over-year basis this holiday season, and the e-commerce behemoth has climbed six points in the years since these metrics were first measured. Although Best Buy's (BBY) recent troubles drumming up sale and profits are well-known and frequently blamed on -- surprise -- Amazon.com, STELLAService found Best Buy was second only to Amazon in the online ordering refunds and returns department, with a 4.7-day score. Unfortunately, Best Buy might have busted that goodwill with this major pre-Christmas snafu: It was unable to fulfill some customers' orders they'd placed weeks before, like that favorite shopping time of Thanksgiving weekend and Cyber Monday. Meanwhile, LLBean.com, Apple's (AAPL) online Apple Store, and Williams-Sonoma's (WSM) e-tail site all shared the relatively swift 4.7-day turnaround time. The holiday season is a joyful time, but for many of us, it's also super hectic. Consumers who are scrambling to obtain the perfect gifts can hardly afford Hanukkah headaches or falling behind the Christmas crunch. If an e-retailer can be blamed for skimpier stockings and no-show presents, well, nobody likes a Grinch stealing Christmas. Online retail is a great way to minimize holiday mayhem. However, the online merchants who drove their e-shoppers crazy may find themselves out in the cold next year when customers defect for the more competent, reliable e-commerce giants. Motley Fool analyst Alyce Lomax does not own shares of any of the companies mentioned. The Motley Fool owns shares of Best Buy, Amazon.com, Gap, and Apple. Motley Fool newsletter services have recommended buying shares of Williams-Sonoma, Apple, Dell, Amazon.com, and Netflix; writing covered calls in Best Buy; and creating a bull call spread position in Apple.